"Millar's work was long overshadowed by that of her husband, detective novelist Ross Macdonald. 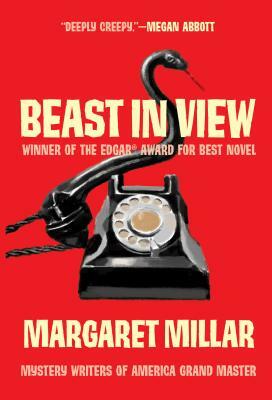 In fact, her best novels — like 1955's Beast in View — have a ferocious edge that make him look rather tame." "A creepy bit of a thriller that will spin you right out of your world and into a mid-20th century time of silk stockings and pompadours, sexual secrecy, stalkers, and surprise endings."